A retired brigadier general of the U.S. Army, Edmund L. DuBois embraces his passion for writing as a renowned author and storyteller. He has thus far authored three novels: “A Lace Cap and Two Boys”; “In the Name of Church”; and “A Lesser Tale of the South Pacific.” An avid traveler, Mr. DuBois even went to France in order to accurately write, “In the Name of Church,” which takes place there. In addition to his novels, he also co-authored, “A Concise Theory of Combat: The Military Conflict Institute & Naval Postgraduate School.,” which was published in 1997. Mr. DuBois has also penned numerous short stories, poems, plays and even one musical, and he is open to offering his plays and musical for free to any group interested in staging them. Mr. DuBois joined the Army in 1941 as an ROTC graduate after earning a bachelor’s degree in civil engineering from the University of Illinois. 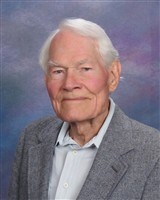 In 1948, he earned a master’s degree in physical science from the University of Chicago. He actively served during World War II in the South Pacific, and also spent time in Australia, Caledonia and Guadalcanal. He held numerous positions, took on a variety of assignments and even worked with NATO for some time. His passion for serving his country stemmed in part, no doubt from his family’s background; his father and grandfather both served in the military as well. Read Edmund L. DuBois’ Newsletter!